I made a jumpsuit! 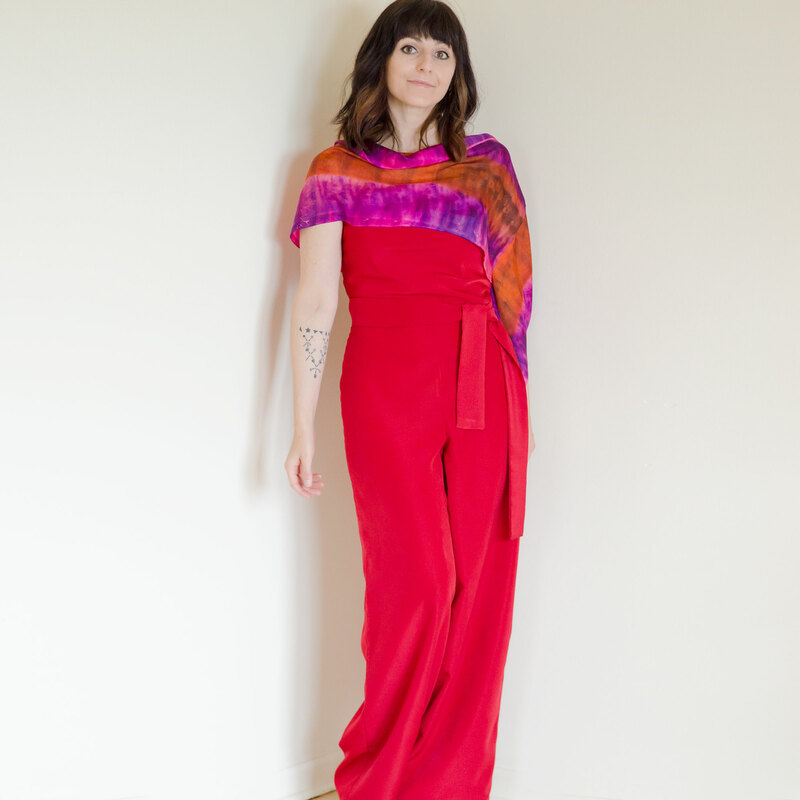 A Holly Jumpsuit! I went with the version 2 of the jumpsuit, the one with the bias cut bodice, spaghetti straps and a slight cowl at the neckline. I love the high-waisted trousers. It has the right amount of snug making for a flattering silhouette. And the wide legs make it comfy and effortless. I used a peachskin fabric to make this jumpsuit even comfier! It’s incredibly soft and I love its slightly brushed texture. However, working with peachskin wasn’t my favourite part of this project. It frayed quite a lot and I found it difficult to press. But the result is beautiful, and I particularly love how it drapes. This is the second By Hand London pattern that I’ve sewn for myself, the other being my Anna dress. I am so impressed with how well both patterns fit. Apart from shortening the trousers, I didn’t change anything on my Holly Jumpsuit and I love the fit. Thanks By Hand London! sorry about my error with “brilliant” need to reread before I send comment. this jumpsuit. I think I’ll quit while I’m ahead. Wow, everything to love here. The fit looks perfect and I love the leg width. Great colour on you. I love this jumpsuit! Love the leg width… Beautiful!